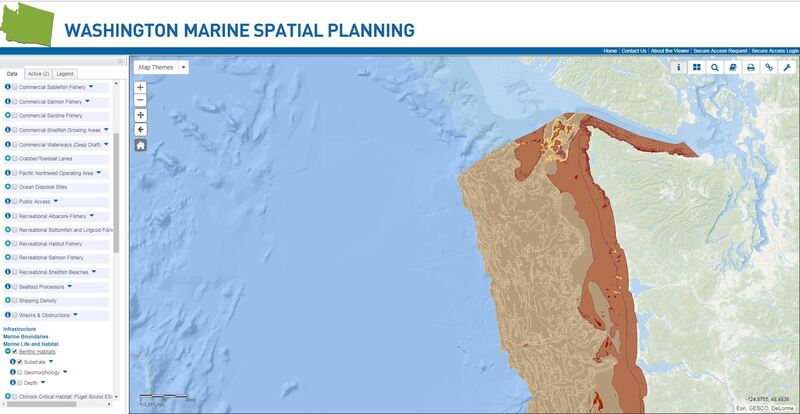 Washington Marine Planner is an online decision support tool to support coastal and marine spatial planning in the state. Planner was designed in response to a real-world planning process, which requires a) spatially-explicit science-based data; b) public participation; c) transparency; d) speed and efficiency; and e) consideration of multiple management objectives. 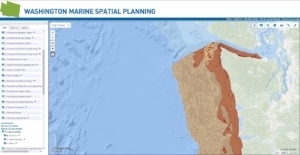 Washington Marine Planner serves as a data viewer and planning tool that considers spatial design criteria for multiple management objectives. Marine Planner users have the ability to summarize ecological and social information, conduct suitability analyses, and consider tradeoffs across management sectors.